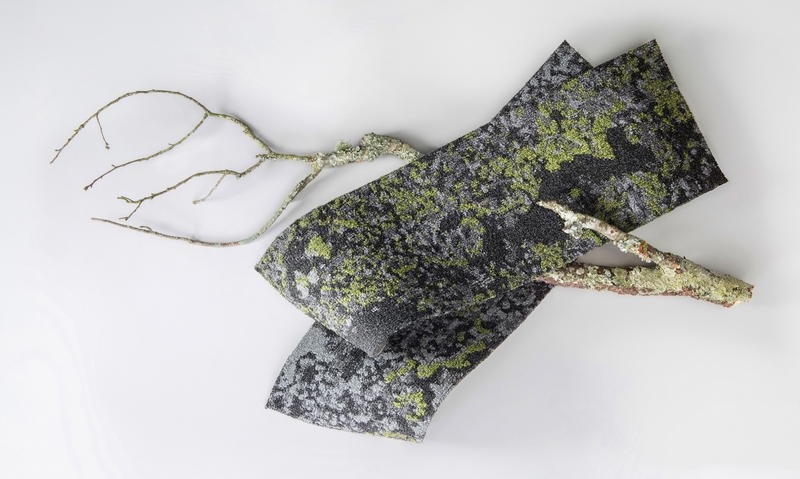 Mohawk Group's Lichen Collection is inspired by the idea of "nature's carpet." The Lichen modular plank carpet system was designed to give more back to the environment than it takes during its entire life cycle. 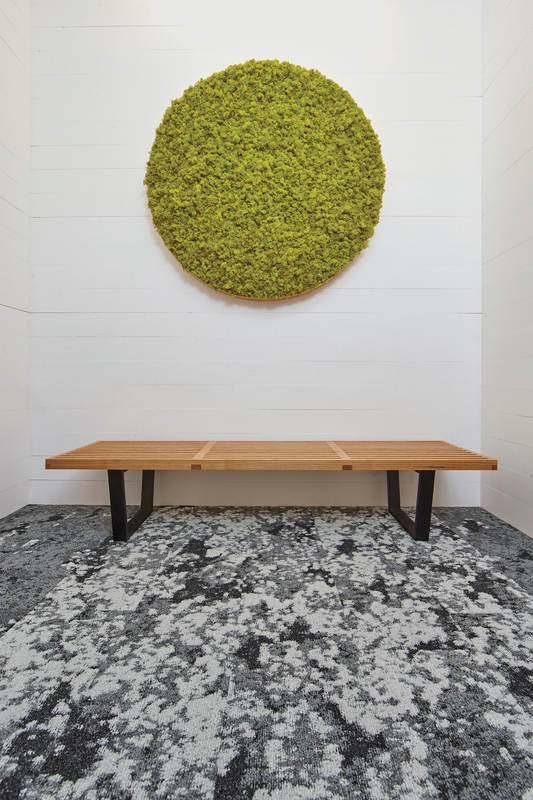 Inspired by biophilic design and its namesake, the Lichen Collection became the first floor covering to achieve Living Product Challenge Petal Certification. Lichen can be found in every color of the rainbow and grows in nearly every ecosystem on earth, thriving on bark, leaves, soil and rock. You might even call it "nature’s carpet." That idea inspired Jason McLennan, founder of the Living Product Challenge, who partnered with Mohawk Group to introduce the Lichen modular plank carpet system. The Living Product Challenge is a distinctive certification program by the International Living Future Institute (ILFI) that promotes a philosophy which defines the most advanced measure of sustainability in product manufacturing today. The program requires that products go beyond minimizing footprints to creating positive “handprints” on resources. As part of Lichen’s certification, Mohawk Group engaged in a special three-year water conservation strategy with Morehouse College in Atlanta. Click here to learn how Lichen met the Living Product Challenge's performance "Petals."